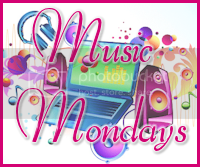 Joining in on the Music Monday blog hop from Stressed Rach, here is a song that I like! Let The Sun Shine by Labrinth – who I’m going to meet later in the year after winning meet & greet tickets for his tour! I’m of course also willing the sun to shine, though it keeps peeking over here!